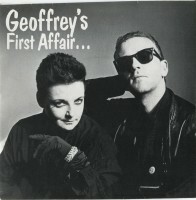 Yesterday we posted a new entry to the discography for Geoffrey’s First Affair…, a Dublin based band that only released one single, and featured Larry Mullen on production duties. As part of the move over to u2songs.com from u2wanderer.org we have added a lot of new “recordings” into the list that U2 have worked on. Some new, some old. Items that have been discovered only recently, and some that we had never heard of before. This time in the History Mix we’re going to look back at some of these projects. The band was formed in 1985, and won a Battle of the Bands contest prior to recording their first single. Ed Darragh, the vocalist in the band had worked with Steve Averill in the past, both as part of “The Modernaires” and later in the Averill formed girl band “The Boy Scoutz”. 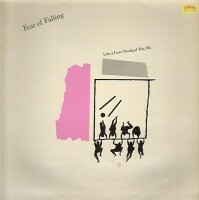 This 1983 single is an odd one, as it was released in France only, by the band Fear of Falling. The single is called “Like a Lion”. The U2 content? Bono is credited as the producer on the B-Side “Prodigal”. The band was a UK based band that had started out as “Crown Agent” but changed their name for the recording sessions. During the recording session for this track, the band were visited by Bono in studio, and he ended up producing the track. Some interviews with the band inferred it wasn’t just Bono who had visited, and that The Edge may have also been present and contributing to guitar. Regardless, only Bono’s involvement is noted on the sleeve. The single was released on the “Excellent” record label in France, and is the only single released by the band. Many of you will be familiar with the remix of “Stay (Faraway, So Close! )” found on the Melon album sent to subscribers of Propaganda in 1995. That version of the song used the same vocal track as the original single, and added a funky new instrumental arrangement under the song. The track was remixed by Underdog. 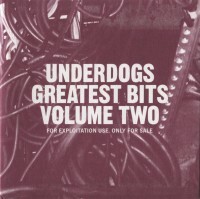 However, in 2012 Underdog released a compilation of tracks he worked on and included a remix of “Stay”. That remix however, is not the same one we all know from Melon. Instead, the remix has a different vocal track. Another newly found U2 solo project. In 1987 when the Virgin Prunes disbanded, three of the members, Strongman, Mary and Dave-Id went on to form an offshoot of the group called “The Prunes”. 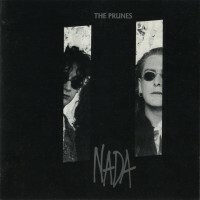 Nada was the second album released by the band, and features the song “In the Night”. Nada features an appearance by The Edge on guitar, but it is not credited on the album. The song had originally been recorded for The Prunes debut album Lite Fantastik, but was held until the second album. Although there is no credit for The Edge on the individual track, both the Edge and his wife at the time, Aislinn are thanked on the interior of the booklet for the release. Edge and Aislinn had also helped fund the recording of the album. Aislinn’s sister Rachel was married to Strongman, and contributed photography to the album. 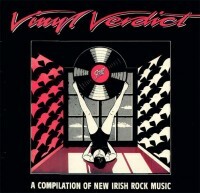 In 1979 a supergroup of sorts of Irish musicians got together to record a handfull of songs including Phil Byrne from Revolver, Pete Holidai from Radiators in Space, Bill Morley from Revolver, Kevin Helly from Revolver, Dave Moloney from The Vipers, and The Edge from U2. They ended up recording three songs, and The Edge played guitar on two tracks, “Something’s Better than Nothing” and “My Baby Left Me”. Byrne and Moloney would go on to form “The Teen Commandments” and when asked to contribute tracks to compilations under that name, would twice go back to the session in the summer of 1979. The first “Something’s Better than Nothing” appeared on the compilation album Just for Kicks. But the second track with the Edge, “My Baby Left Me” would also be used on a compilation, this time the 1981 compilation on Scoff Records called Vinyl Verdict. These are all new entries in the discography at U2Songs.com, added over the last few months as we’ve updated and been working on the discography. Are we missing other songs that you are aware of? We’d love to hear your comments for other suggestions, through Twitter, or Facebook or via our contact page.